​The well-fortified radar station at Douvres-la Delivrande, manned by Luftwaffe personnel for the most part, was protected by barbed wire, minefields, bunkers and other strongpoints linked by a network of tunnels. The adjacent woods were also similarly converted. 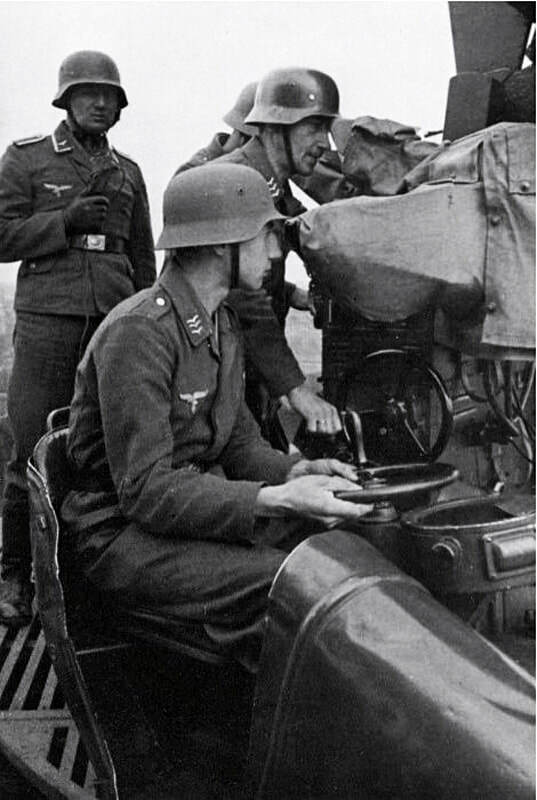 Weapons available to the defenders included five 5 cm anti-tank guns, a 7.5 cm field gun, a number of mortars and around twenty machine guns. The site for the facility had been well-chosen by the Germans as it commanded an unrivalled view out towards the coast and to the city of Caen 7.5 miles away to the east. A buried landline connecting the radar station with the city meant that the defenders could act as artillery observers and call fire down upon any Allied formations about to attack. 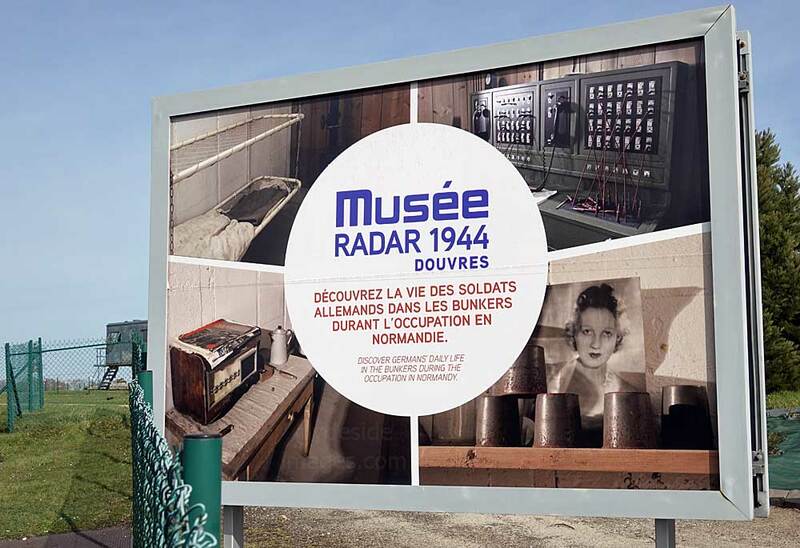 More information can be found on the Douvres Radar Museum website: Click here to view. 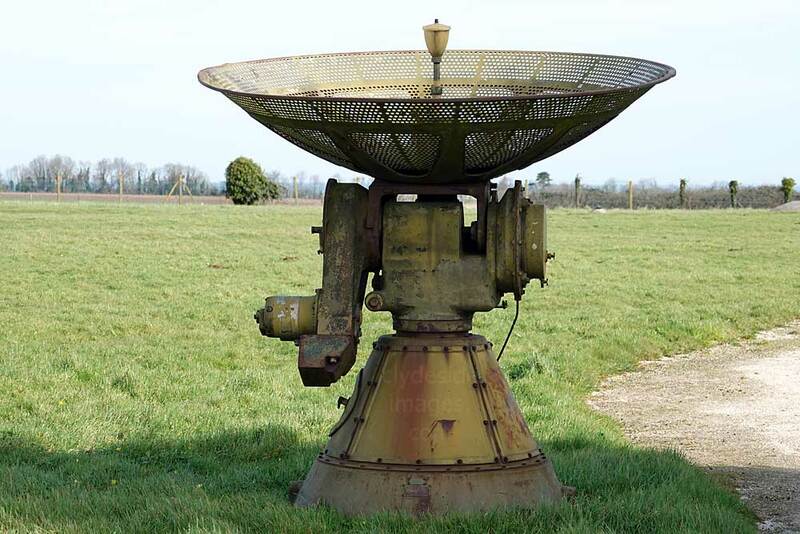 ​The low-UHF band Würzburg radar was the primary ground-based gun laying radar for the Luftwaffe and the Wehrmacht Heer (German Army) during World War II. Initial development took place before the war and the apparatus entered service in 1940. Eventually over 4,000 Würzburgs of various models were produced. The Douvres site, which became fully operational in August 1943, lay roughly south of the junction of JUNO and SWORD beaches. Within the main complex were four radars, two Freya FuMG and two Würzburg FuSE (above), with a single Wasserman sFuMG at an ancillary location. The power for the radar and associated equipment was supplied by diesel generators, which were housed in underground bunkers. 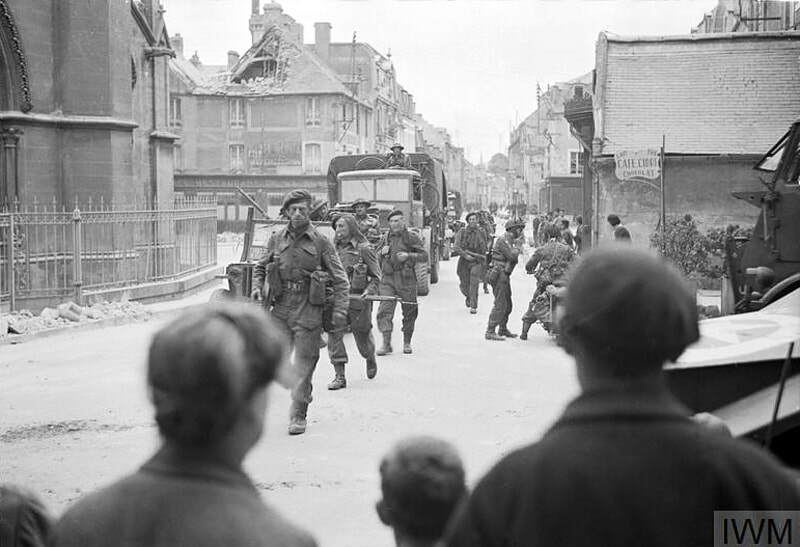 Around 230 men under the command of Oberleutenant Kurt Egle were tasked with operating and defending the site but this number swelled on D-Day when German troops retreating from the coast, sought refuge. 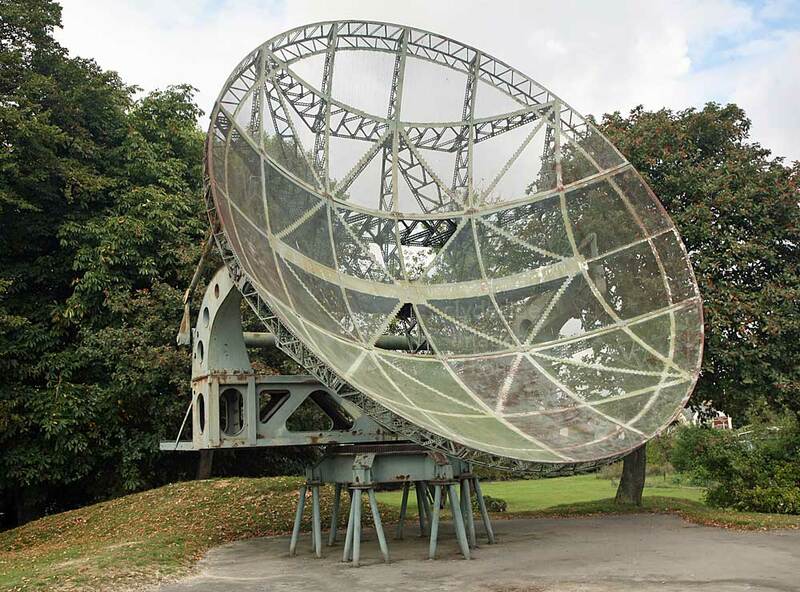 At 23:00 hrs on the night of 5/6 June 1944, the Allies launched intensive jamming of radar frequencies all along the Normandy coast which blinded the German radar network from Cherbourg to Le Havre. 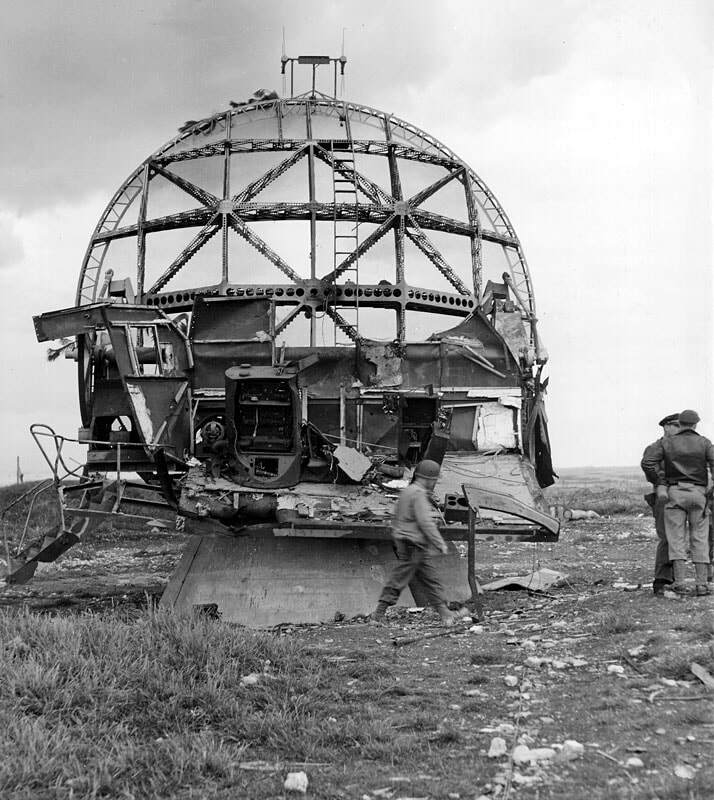 On the morning of the 6th (D-Day) the antennae at Douvres-la-Délivrande were destroyed by Allied naval artillery bombardment. 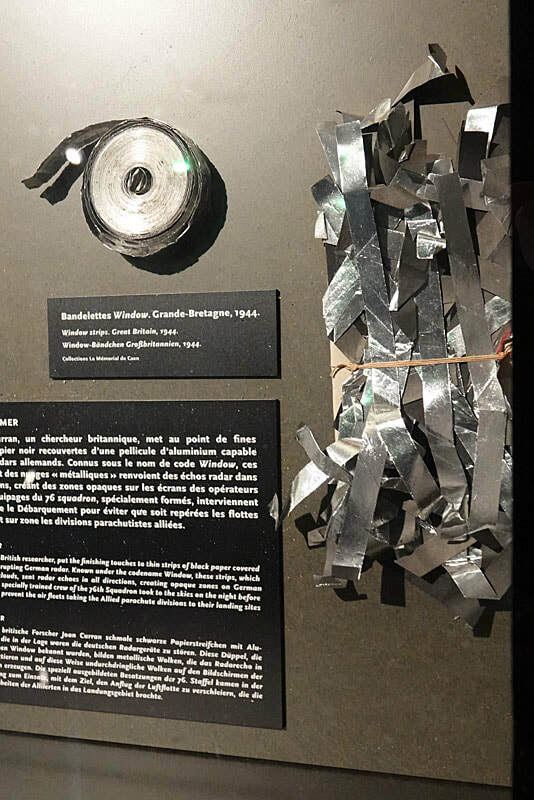 The examples of `Window` anti-radar strips shown below are on display at the Caen Memorial. 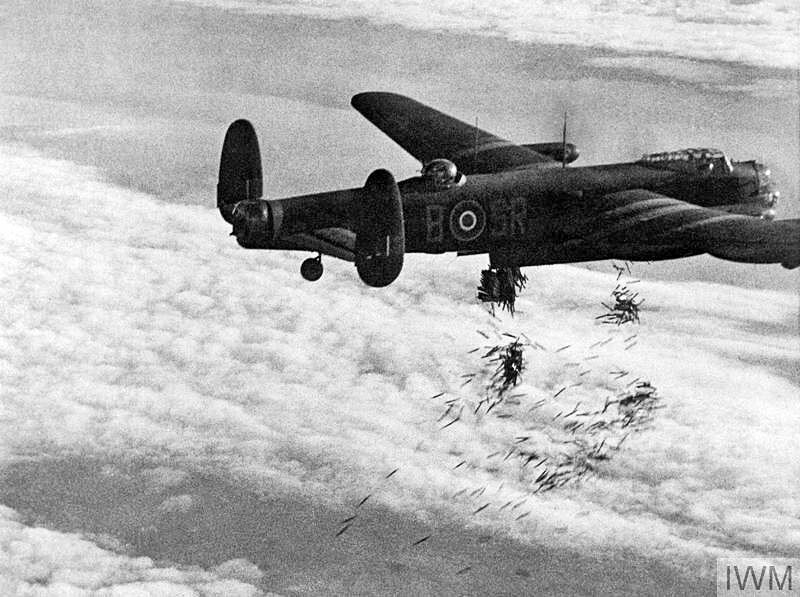 Although these `stills`of Lancasters dropping bundles of `Window`​ are from a film taken later in the year, similar measures would have been taken prior to the landings on D-Day. 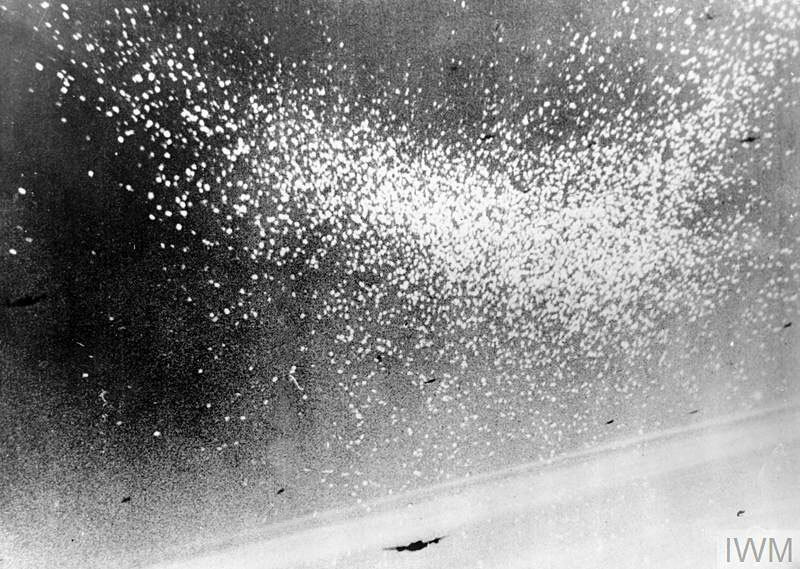 Bombers would discharge vast clouds of reflective chaff and steel strips well away from the intended landing zones in an attempt to fool the Germans that an attack was imminent. The large aerials on top of the individual aircraft`s fuselage show that this Lanc is carrying 'Airborne Cigar' (ABC), a jamming device which disrupted enemy radio telephone channels. The task of capturing the radar station on 6 June had been allocated to the North Shore (New Brunswick) Regiment. 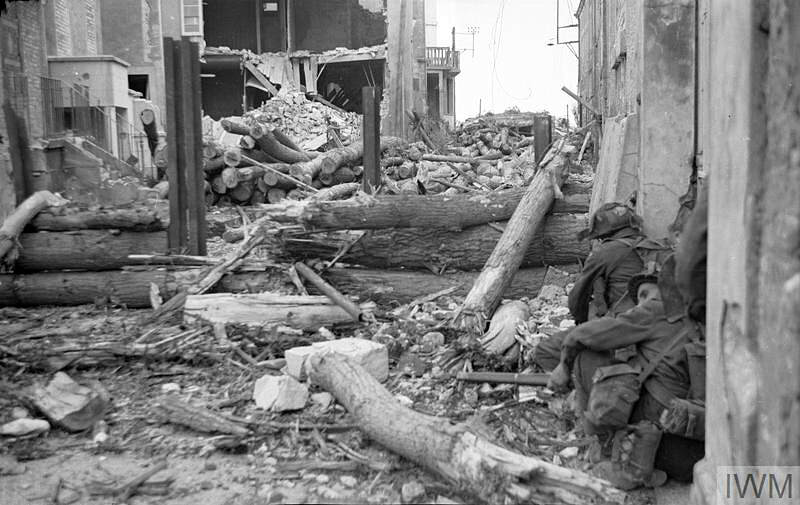 The image on the right shows troops of 'B' Company, taking cover during their assault upon German strongpoint WN-27 in St Aubin-sur-Mer earlier in the day. By nightfall, the New Brunswicks had fought their way to within a mile north of the radar complex and halted in the village of Tailleville. A dawn attack upon the site met with fierce opposition and had to be abandoned late in the day. The 51st (Highland Division) took over, but the 5th Battalion Black Watch also fared badly, as did subsequent efforts by various units to take the site. 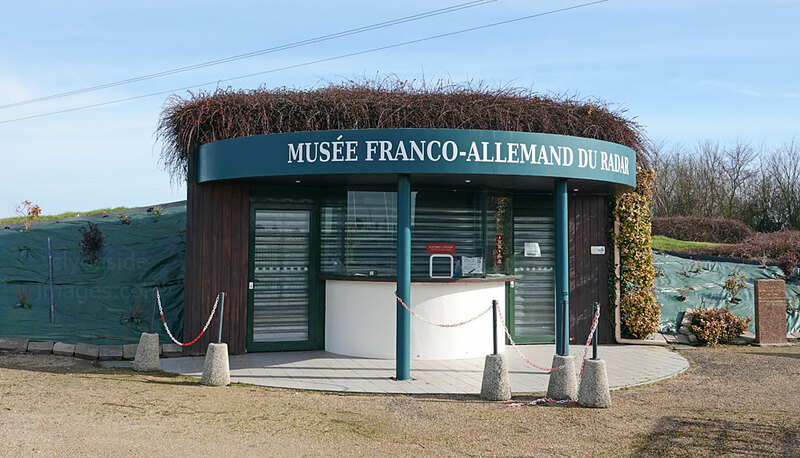 The decision was taken to contain the perimeter and bypass the radar station, for the time being at least and it wasn`t until a fierce battle almost two weeks after D-Day that the Germans finally surrendered. 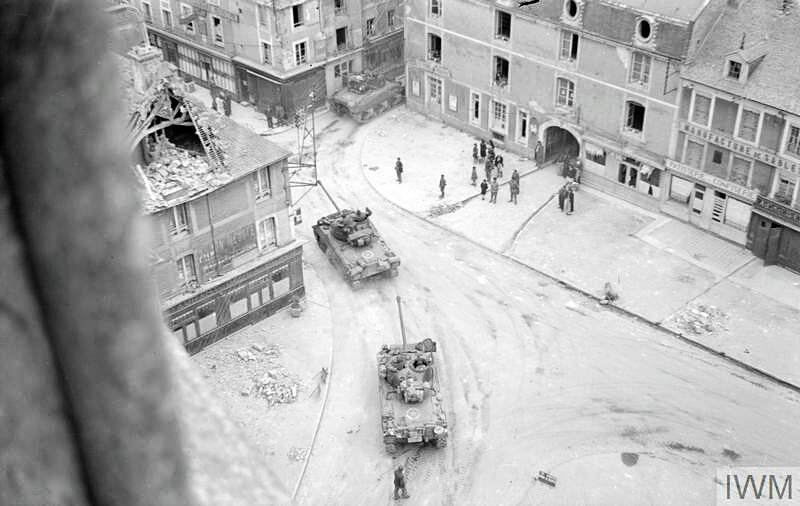 On 17 June 1944, once a diversionary attack got underway, four flail tanks of the 22nd Dragoons, similar to the one shown, led the way through the minefield, with three `bunker-bursting` AVRE`s of 26th Assault Squadron Royal Engineers following on behind. A heavy artillery bombardment provided cover and enabled heavy charges to placed against the blockhouse entrances. Commandos of No.41 RM Commando stormed the fortifications under a blanket of smoke and the battle for Douvres Radar Station was over. 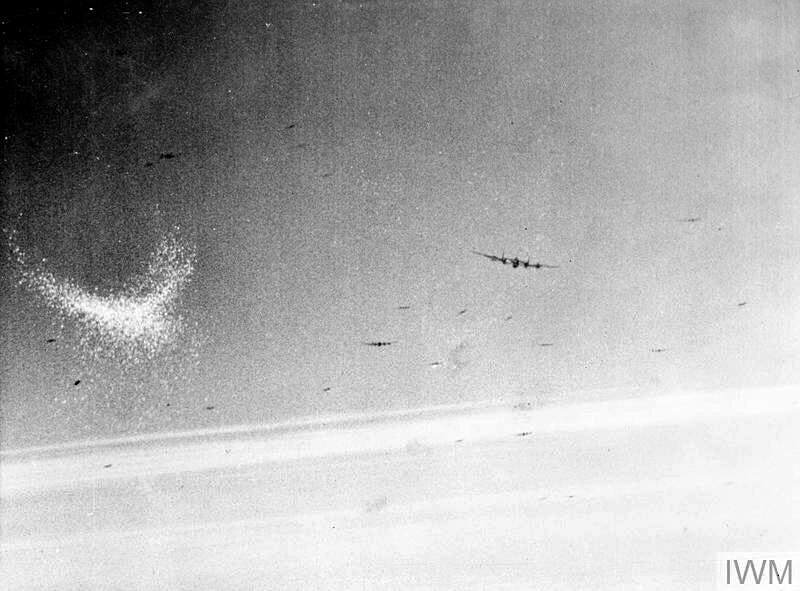 The cost to the British in this final chapter had been fairly light; Eight tanks damaged but reparable and four AVREs destroyed. Casualties were less than a dozen. 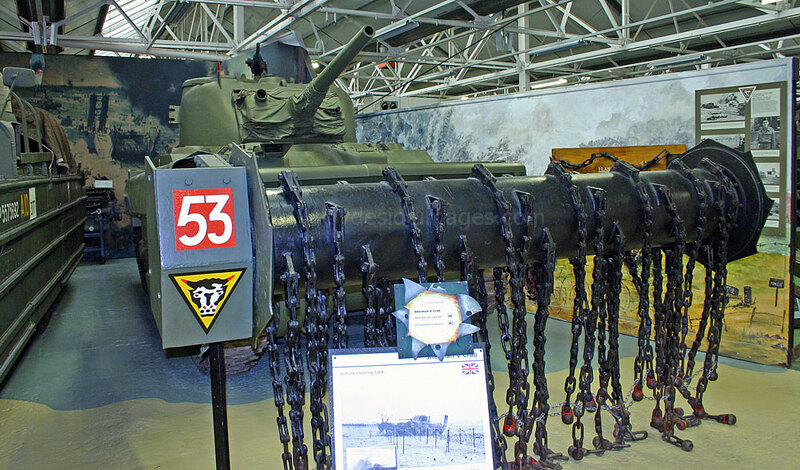 This Sherman Crab flail is on display at the Tank Museum in Dorset, England. 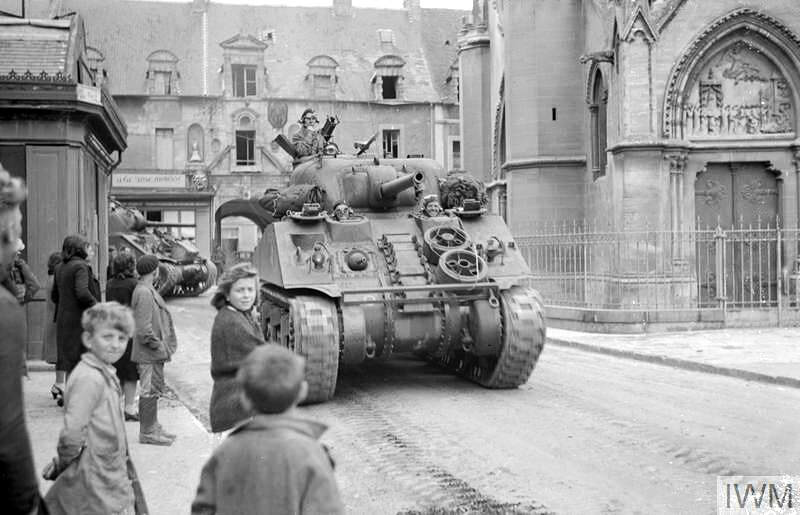 Sherman tanks, including the more powerful Firefly version, and men of 46 (RM) Commando, 4th Special Service Brigade, pass through Douvres-la Delivrande on 8 June 1944, watched by French civilians. 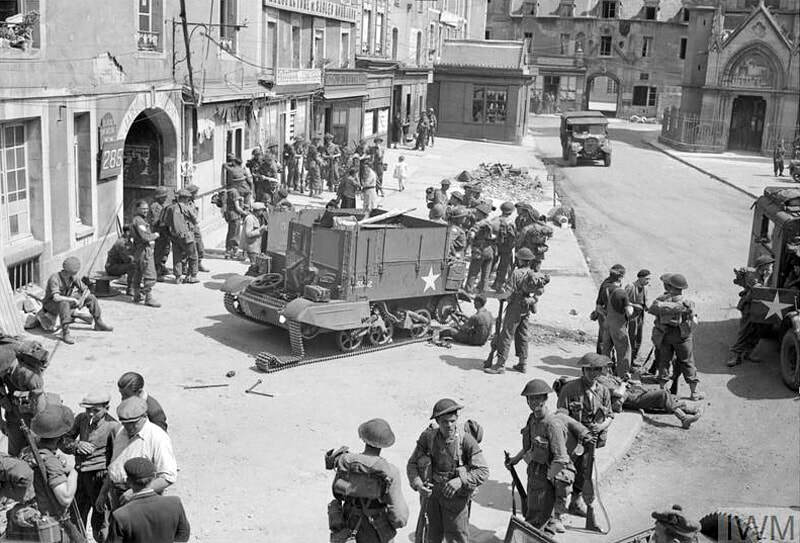 The image below right, shows infantry resting in Douvres on 13 June 1944, en route to the front line, as a disabled universal carrier with wading screens receives attention. ​Please bear in mind that all images on this website are Copyright. They are not free to use and have been embedded with a digital watermark. 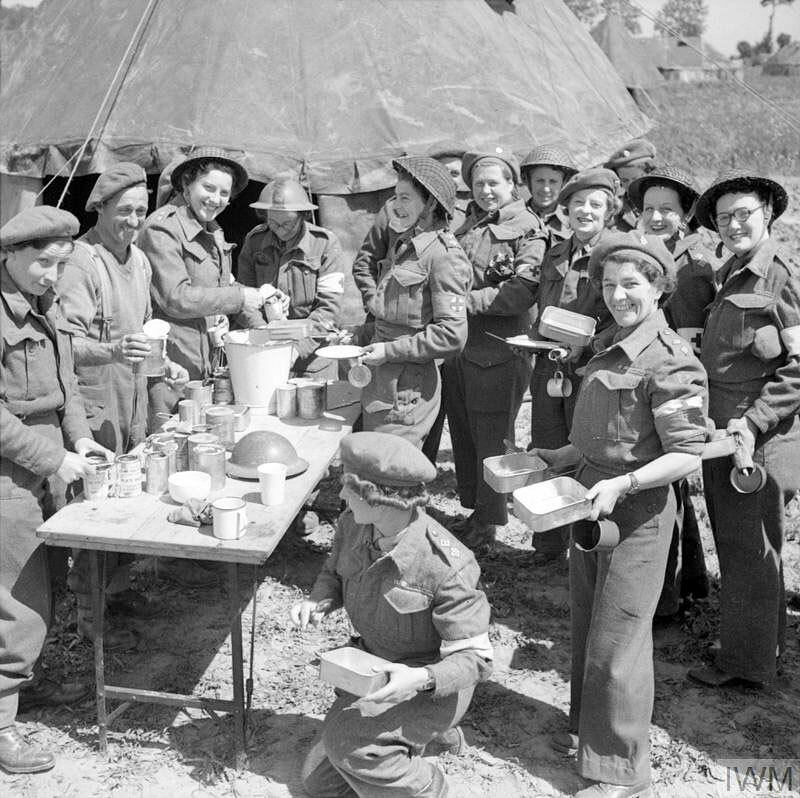 Any historic photographs from the Imperial War Museum and other organisations`s collections have been used courtesy of a `Share & Reuse` policy and are also subject to copyright restrictions. 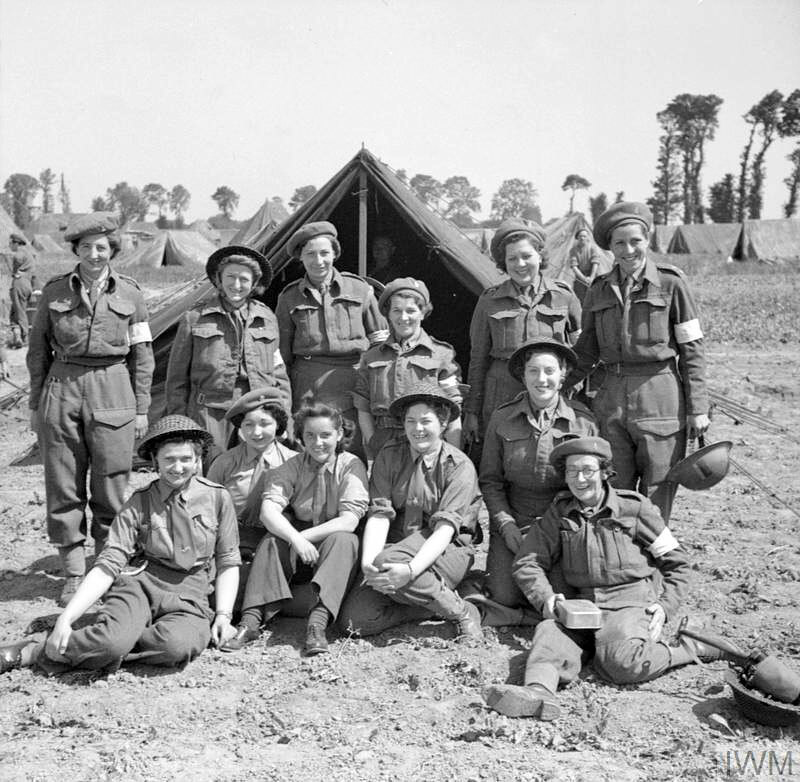 ​These IWM images show women of Queen Alexandra's Imperial Military Nursing Service (QAIMS) posing for group photographs at No.88 General Hospital at Douvres on, 22 June 1944. The facility was established here shortly after the remnants of the garrison defending the radar complex finally surrendered.